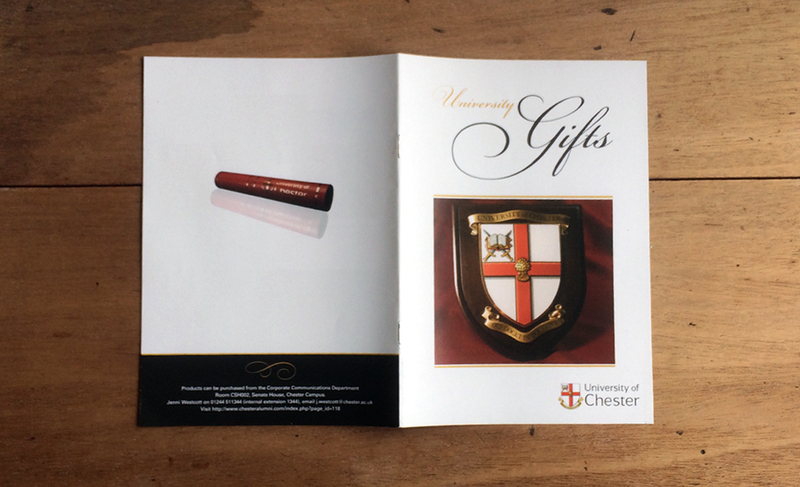 Whist working on a number of projects at the University of Chester, I was asked to redesign the gift ware catalogue. 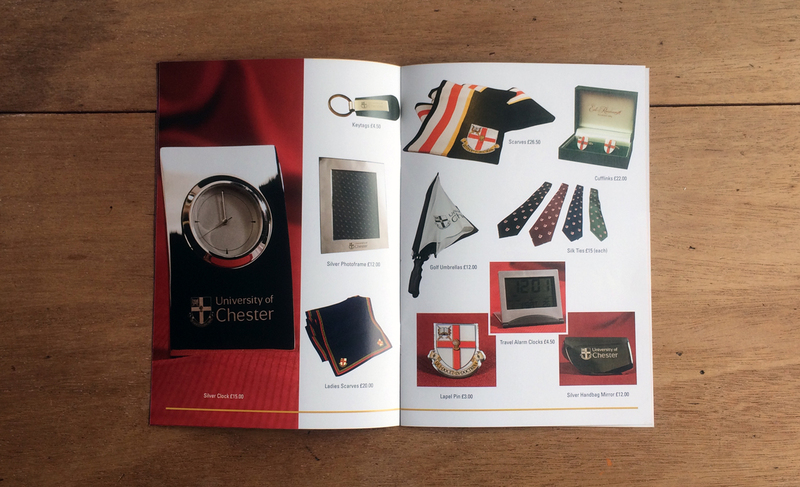 This project was a ten page catalogue, in which I had to liaise with the photography team, main office and the on site printers. 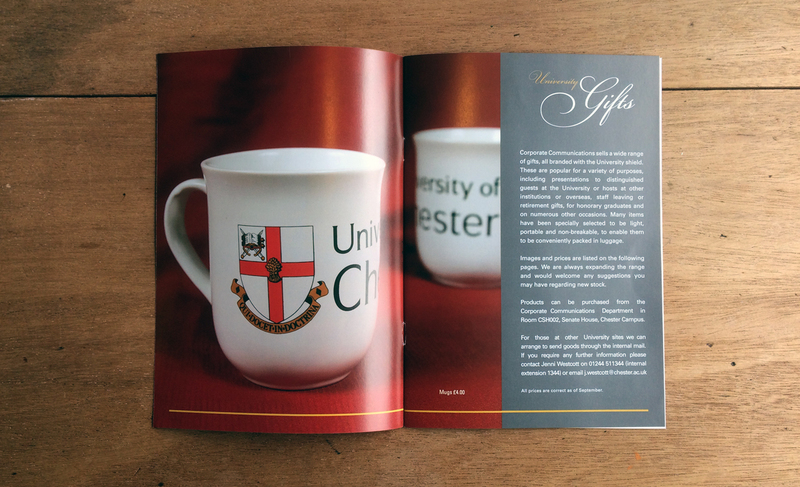 Photographs where edited using PhotoShop the and the catalogue was design in Indesign.